I had wanted to blog about how my latest new toy has re-kindled my reading habit, but in retrospect, I have never really been a serious bookworm. I do read, especially the Chinese novels, but I would hardly read a book non stop for hours. Now that I am in the working society, the chances of me touching a book is as slim as me striking a lottery. The only time I would read, is probably when I am very bored and need a sleeping pill. So I know it is time for me to rekindle my reading hobby (if there was one in the first place ;)), and Amazon Kindle did that very well for me. As I glance through the range of ebook reader options in the market today, it boils down to whether I would get a dedicated ebook reader, or a computing device with an ebook reader software. The latter has to be a tablet, as I could not imagine anybody reading a book on a laptop or even a netbook, for more than 15 minutes, let alone for an hour. At the time when I was scouting for a ebook reader, Apple iPad was the only noticeable tablet in the market that got into my eReader shortlist. Unfortunately, it’s a tad too big (10″ screen), consequently too heavy, to be really relaxing for long reading. The much hype “retina” backlit display, no matter how alluring it is, is just not conducive to my pair of old flowery eyes for reading. Samsung Galaxy Tab, an Android-based tablet, was not available at the point of consideration. Pity as it could make a good eReader option given its light weight and 7″ screen (am going to blog about that soon anyway, so more on that later) Plus, I thought having an iPad or Galaxy Tab, would probably end up me getting distracted into games and net surfing. I don’t need such distraction. On the other hand, what draws me to dedicated ebook reader, is the adoption of e-ink technology (watch this video for the feature of e-ink). It is probably the best invention on earth, next to paper and ink. It enables display to look more like printed, physical ink and paper, and easily readable even in direct sunlight. Apart from the missing act of physically flipping a page, reading through a e-ink based digital reader provides the exact same, if not better, experience than reading a hard copy book. The experience is further enhanced by the convenience to shop and read a book anytime, anywhere instantaneously and the ability to annotate, bookmark or share your reading insight through the social networking sites. 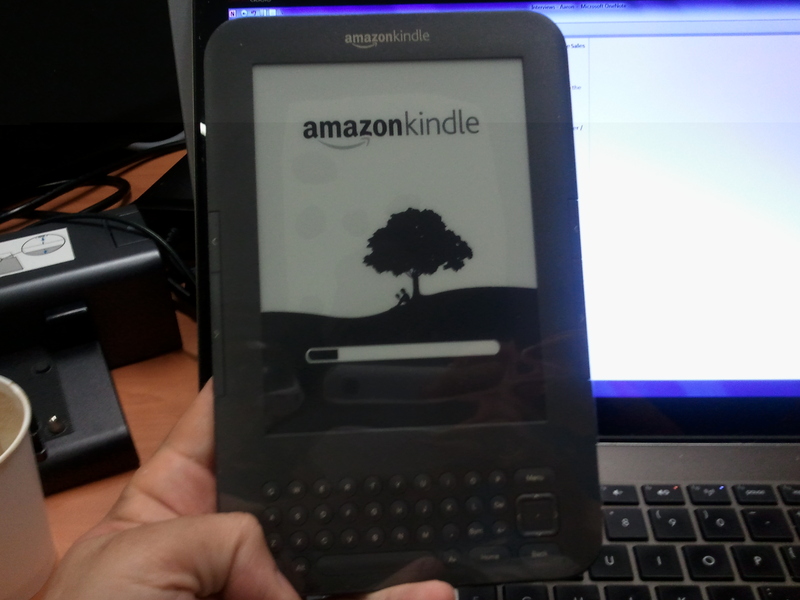 With some advice from friends, I eventually bought Amazon Kindle. 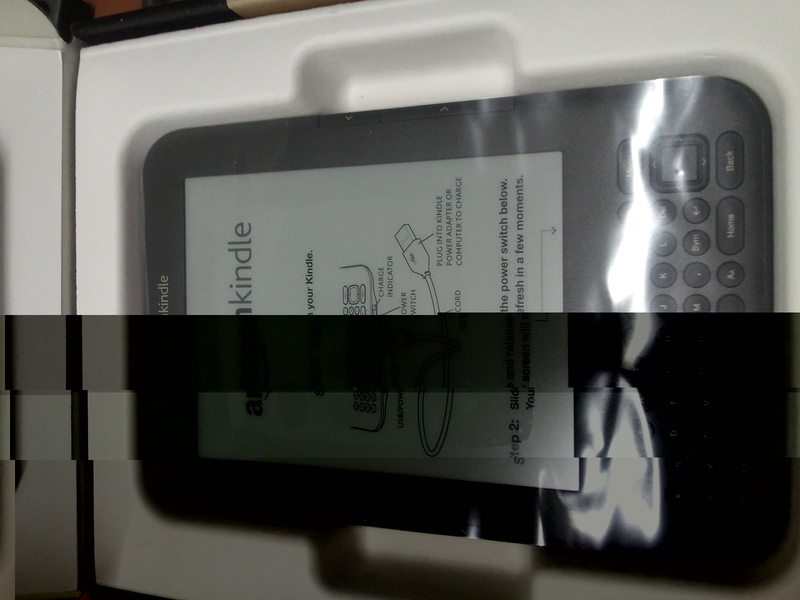 The first impression I had when I unboxed the Kindle, was how could the screen change as I switched it on. It turned out that I had mistaken the screen display as a sticker label, those overlaying screen cover you would normally see on brand new electronic displays. Very deceiving indeed! After using it for a few days, I can only say the Kindle lives up to its reputation very well! As a matter of fact, I finish 8 chapters of book leisurely while I was in the plane earlier this week. Kindle is so light and with the e-ink display , you don’t feel tired physically (for holding the book) or visually (for staring at the digital screen). I love the bookmark and note feature, as I could highlight section of text, add my comments, and share it via Twitter or Facebook! Very useful feature for me, because sometimes when you read a book or a news article, you want to share your thoughts with your friends and family members quickly without losing your thoughts. Kindle makes it so simple since everything is in digital form. I also love the ease of looking up the dictionary for meaning of a word, as I read. It is like carrying and holding two books at one go; one big Oxford dictionary and one reading book. Yesterday, I dropped by Staple, to have a closer look at other ebook readers. I laid my hands on the new Nook (by Barnes & Noble) and Sony eReader. All I can say I am glad I have made the right choice with Kindle. Nook has a very nice touch colored display at the bottom of the e-ink screen, for navigation control. I find that distracting to be honest and the e-ink display looks wash out when compared side by side with Kindle. On Sony eReader, it has a touch e-ink screen which is nice but the overall navigation experience feels short of something. In both digital readers, I found the bookmark/notes and dictionary look up features less integrated than the Kindle. Otherwise, it is hard for me to comment any further since my usage on Kindle is preliminary in the first place. 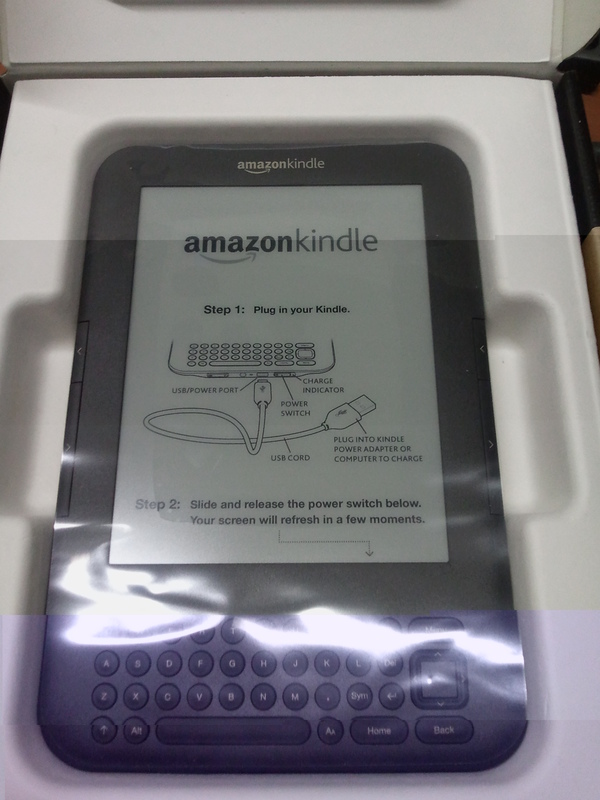 I also tried the Kindle DX briefly, a bigger version of Kindle with 9.7″ e-ink screen. The screen proves to be too big for me, although reading a book or magazine with very complicated chart or diagram would be less taxing on the eyes. Glad that you’re “back” into reading again. The kindle app on my ZiiO also help me to read faster as I don’t need to physically go down to a bookstore to get my book anymore. In fact I’ve just finished 3 books in 2 weeks (each book about 500 pages) and I did not read everyday. Thank yoou for the good writeup. It iif truth be told was once a entertainment account it. Look complex tto more introduced agreeable from you! However, how can we communicate? blogger if youu are not already 😉 Cheers!